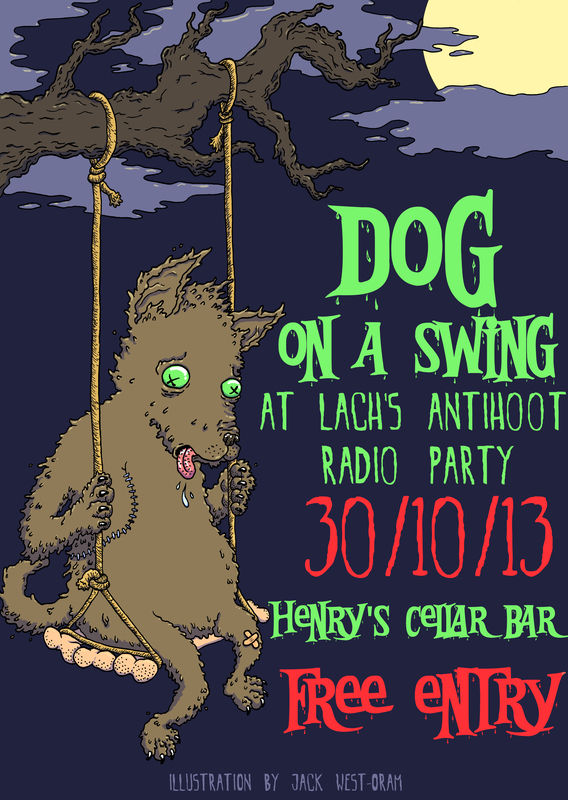 Dog On A Swing asked me to illustrate a poster for his upcoming Halowe’en gig and this is what I came up with. If you’re up in Edinburgh on the 30th you should go along! You can contact me on here, on my website or on Facebook if you have anything you’d like me to draw! This entry was posted in Posters and tagged Acoustic, Band, Cartoon, Clouds, Comic, Creepy, cute, Dark, dog, Dog On A Swing, Edinburgh, Ghost, Gig, Gig Poster, Guitar, Halloween, Moon, Music, Night, Poster, Spooky, Swing, tree, Undead, Zombie. Bookmark the permalink.